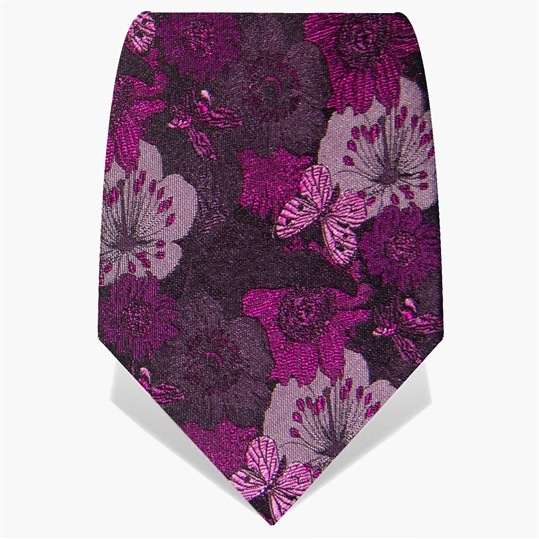 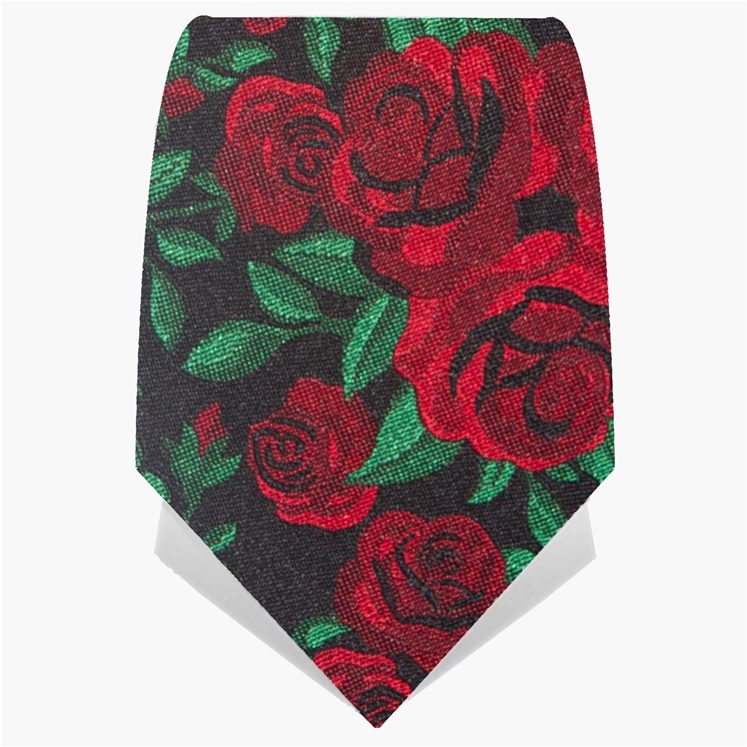 100% silk floral tie. 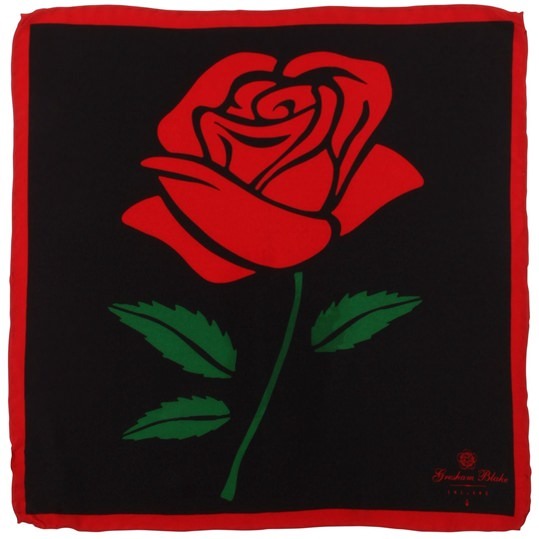 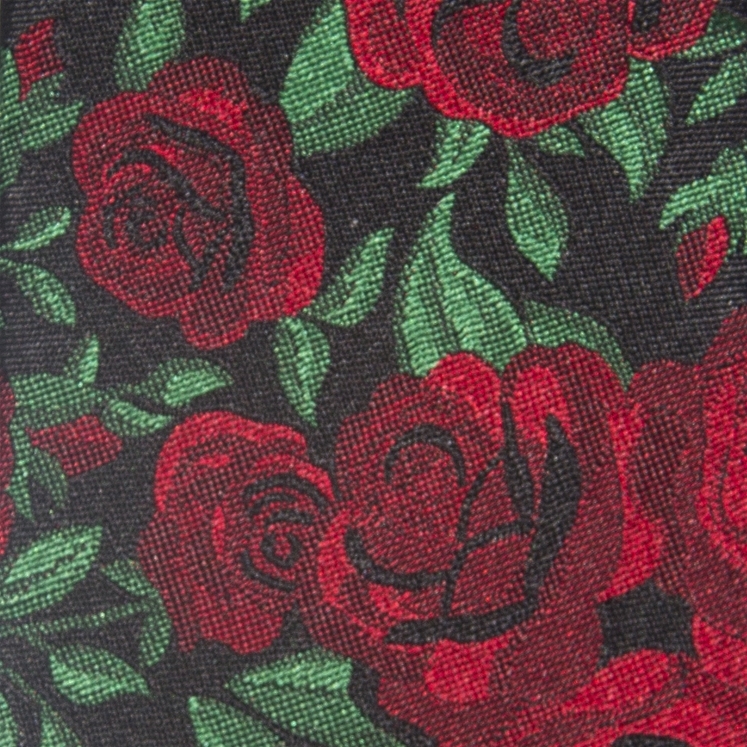 Black with a deep red woven design of traditional English roses. Hand made in the UK and limited edition.